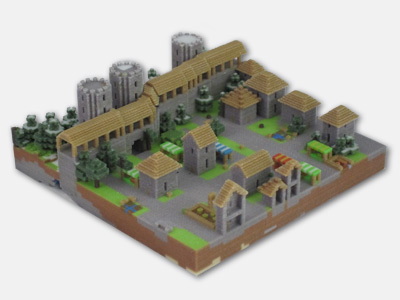 Now your can keep your Minecraft castle on your real-world desktop. Minecraft is an incredibly popular game that needs very little introduction. Millions of people have purchased the game, and its expansion onto Walmart shelves will only continue the trend. Minecraft has done a fantastic job of allowing gamers to create as they play, but sadly, the one thing it cannot do is extend that creative reach into the physical world. At least until now. FigurePrints, last seen selling replicas of World of Warcraft pets, has started an online service that takes your Minecraft world, constructs a real-world miniature, and ships it straight to your door. 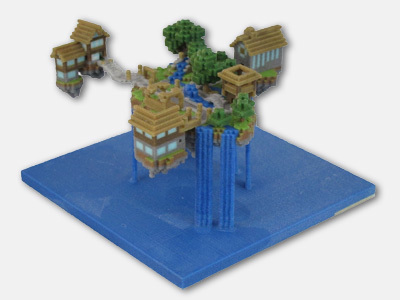 To have your Minecraft castle reconstructed as an attractive paperweight, you'll need to download this exporter program from FigurePrint's website. 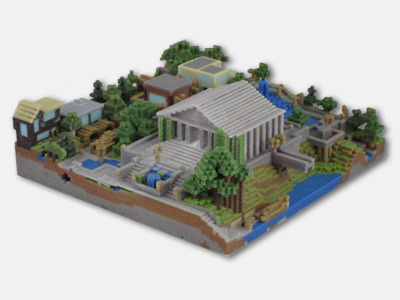 The exporter copies a portion of the game world from your Minecraft save, which can then be uploaded to FigurePrint for building and purchasing. Prices will vary based on the size of the export, and the images below are examples of some final results you can expect. Stepping back after a long Minecraft session to observe all you've made is satisfying enough, but the ability to literally hold it in your hand sounds all the more meaningful. Just double check that everything's in place before you send the file to FigurePress; it would be a shame to get your miniature in the mail only to discover that Endermen were picking apart your castle wall.